Find My Workspace lists over 95% of the business centres market in Ashton-Under-Lyne. Simply click Request Quote to check pricing for one office, or Add to Basket for multiple offices. 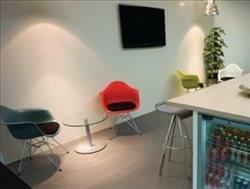 These are fuly furnished workstations are ready to use with superfast broadband and phone line already connected. The business centre comprises of serviced offices for rent, well equipped meeting/ conference rooms, and comfortable lounge areas. Virtual office space can also be rented here. An ideal base both for local companies & national businesses looking for an accessible UK base. It is close to Manchester & has excellent road links and several major motorways are less than 10 minutes away.